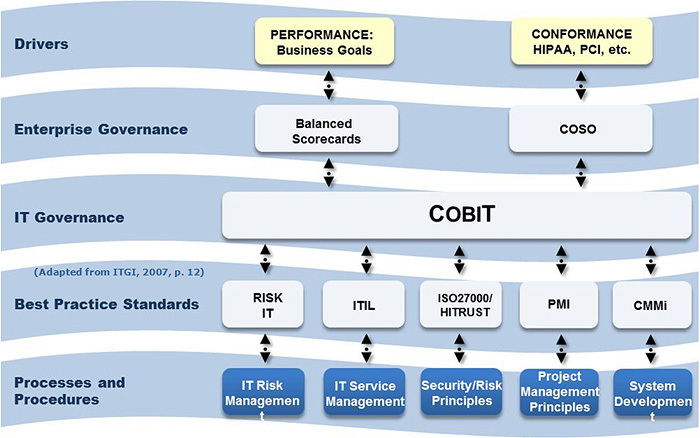 Governance of IT encompasses several initiatives for board members and executive management. They must be aware of the role and impact of IT on the enterprise, define constraints within which IT professionals should operate, measure performance, understand risk, and obtain assurance. Eminere Group can provide assessments, guidance and advice throughout the process of implementing a strong IT governance framework for your organization. The most common approach is to start with an assessment that will provide the baseline and provide the foundation to the organizations’ implementation plan.